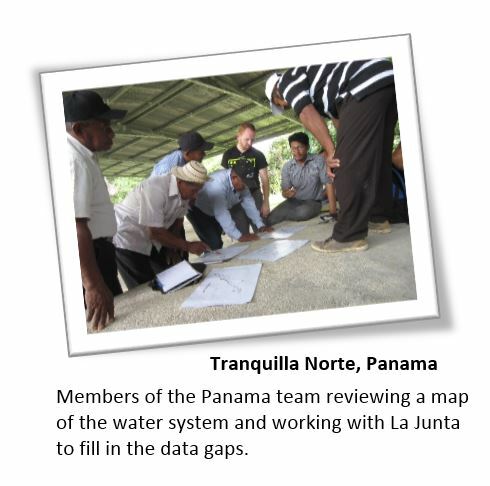 The Tranquilla Norte Water Project is located in Caballero, a community of about 1,500 residents about 3 1/2 hours from Panama City. Back in the 1980’s, the government built a pipeline for the community that delivers potable water directly to taps in homes. When it was built, the system served about 150 homes. The system now has over 800 homes tapping in to it and there has been little to no upgrade. The system has expanded to serve more homes without additional water sources since it was originally built. As a result, the southern portion of the community often experiences weeks to months at a time without water service, and silty water periodically during the rainy season. The community reached out to the local Non-Governmental Organization (NGO), Sustainable Harvest International (SHI), for help with their water system. SHI contacted the Sacramento State EWB student chapter who had a project in a nearby community. Sacramento State took the project on and it was later passed on to the Sacramento Valley Professional Chapter in 2014. The goal of the project is to redesign portions of the water system in hopes to ensure all homes have routine potable water service throughout the year as well as teach community members best practices for operations, maintenance, repairs and future expansion of the water system. 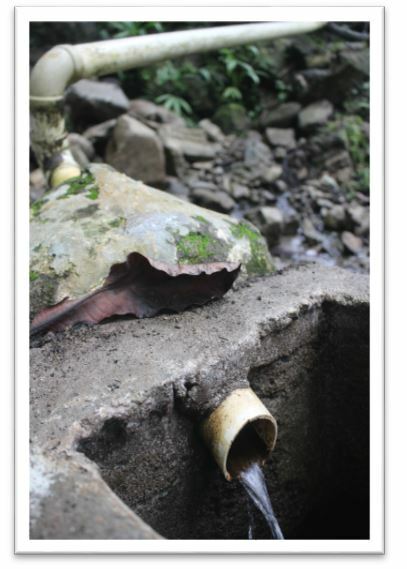 A team of 5 traveled in August 2016 to assess if an old well can be reinstated and connected to the system. 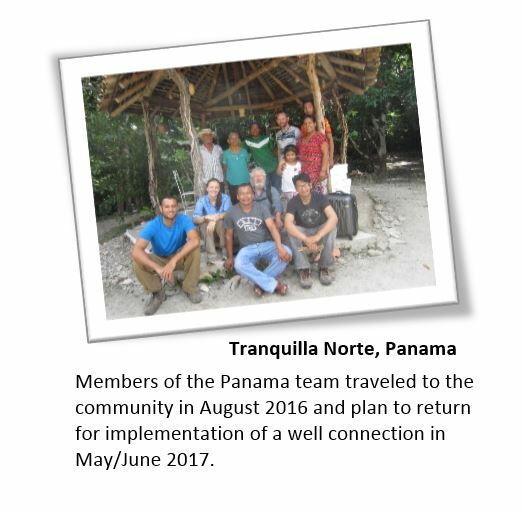 Members of the Panama team will be returning in May/June 2017 to install the pump and piping to reconnect the well. Additionally, the travel team will assess the next phase of the project of redesigning pipe crossings over 2 rivers and a valley. If you are interested in making a positive difference in the Tranquilla Norte community please let us know by messaging us through our Contact Page or email the project manager, Michelle Kolb, at michelle.kolb@tetratech.com. The project team typically meets on Monday evenings at 6pm. Opportunities exist for anyone who’s interested in EWB Sacramento Valley Professional Chapter to make contributions. To continue our success as an organization, we need a wide range of engineering and non-engineering skill-sets.